Since its inception in 2005, CMM Info Tech is operating as a manufacturer, wholesaler and retailer of Plastic Cards and Accessories. Our range of products has earned us loads of profits and is inclusive of Printed Plastic Cards, Cards Strings and Conferences Products. They are widely demanded at institutions, conferences, seminars and offices. These products are remarkable in terms of durability and finish. We provide Conference Support Services to our customers and strive to provide them feasible customized solutions. Our infrastructure is state-of-the-art built and is huge. Our production unit is sophisticated and is equipped with high end machines for making products in tune with the latest generation trends. The raw materials are sourced from reliable and reputed vendors for maintaining the standards. Our warehousing is systematic and is free from dust and moisture. It allows hassle free packaging and delivery of products. The transportation network is prompt and enables us to meet the deliveries on time. Our workers are the biggest asset for the firm. They are dexterous and have earned us reputed projects including WHTC 2009, PETROTECH 2009 and The Indian Sugar Summit. We have a huge clientele and based across the globe. Our firm caters to their needs by offering them customized solutions. Our Director, Mr. Mohit Sharma, has streamlined the process through his knowledge base and rich industrial experience. He has taught the professionals to work in coordination. The firm has touched the heights of success in a short period of time. Since its inception in 2005, CMM Info Tech is operating as a manufacturer, wholesaler and retailer of Plastic Cards and Accessories. Our range of products has earned us loads of profits and is inclusive of Printed Plastic Cards, Cards Strings and Conferences Products. They are widely demanded at institutions, conferences, seminars and offices. Since its inception in 2005, CMM Info Tech is operating as a manufacturer, wholesaler and retailer of Plastic Cards and Accessories. 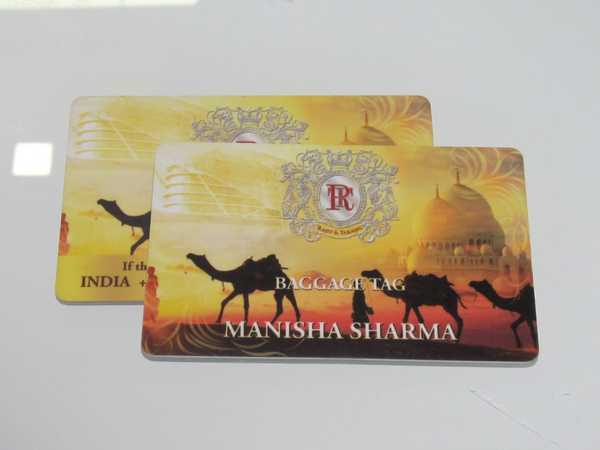 Our range of products has earned us loads of profits and is inclusive of Printed Plastic Cards, Cards Strings and Conferences Products.